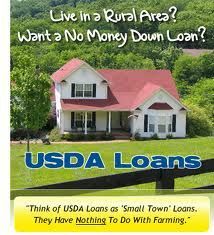 Kentucky USDA Loans | Rural Housing Loans Kentucky. Home buyers in Kentucky planning to use the USDA Rural home loan program with zero down payment financing upcoming boundary changes that will cause many current USDA eligible rural areas to no longer qualify beginning October 1, 2013. .Kentucky population explosion over the last 10 years in the above cities requires the USDA to update their eligible boundary map to reflect the not so recent 2010 Census data. Details of the changes can been read in USDA AN 4711. * Remember, USDA does not allow financing on any manufactured or mobile homes, nor is USDA suitable for ‘farm financing’ to buy large amounts of acreage, hobby farms, or income producing property. To qualify for financing under the current 2010 USDA eligibility map, you need to have your complete loan application submitted before September 30, 2013 and obligated before December 31, 2013. Current home owners who have a Kentucky USDA loan will be able to refinance their Kentucky USDA loan under the Kentucky USDA Streamline Refinance Pilot program even if they are no longer in an eligible area, but you still need to meet the county income guidelines. Joel Lobb is a Licensed Mortgage Originator:NMLS #57916.